From the Bead Board : SWARVOSKI - This is ALL YOUR FAULT!! SWARVOSKI - This is ALL YOUR FAULT!! When I got home, I started doing my 'inventory' - putting things in their new homes with new prices, so I know what to charge when I use them and all went well until......SWAROVSKI. I held that little bag in my hand, peered through the plastic and marveled at their beauty. I oo'd and ahh'd to myself and dreamed of making beautiful pieces with my new colors of.....SWAROVSKI. I, finally took my little bag, worked up the courage and opened the bag. I reveled in the twinkles and shimmers. 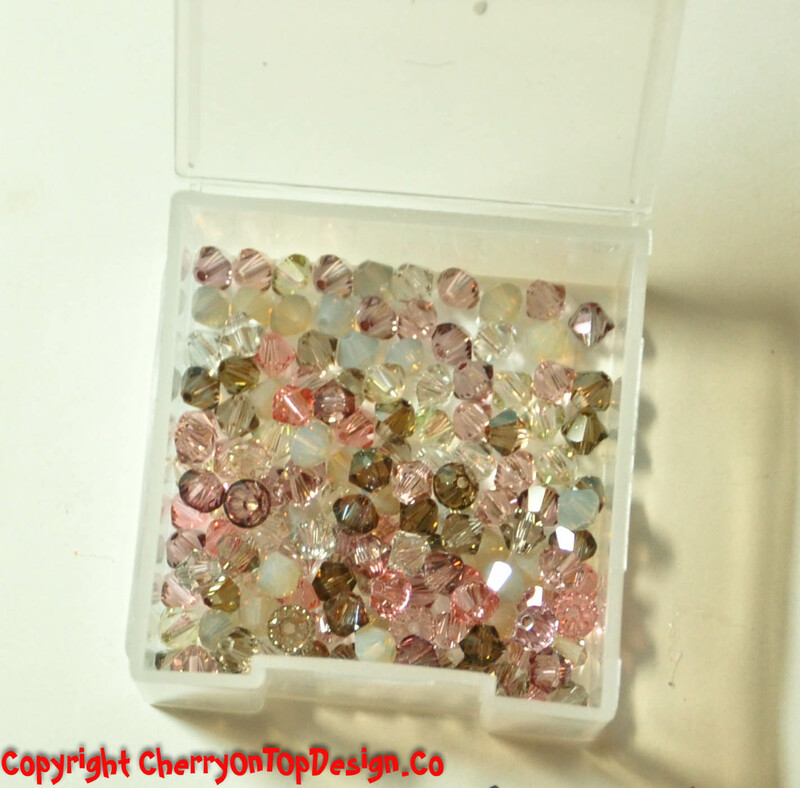 I took the sticker off the bag and found the new little home for these little gems.....SWAROVSKI. I poured them in, so carefully, watching them flow out of the bag like a brand new bag of cereal. It sounded like little puffs of rice hitting my bowl. And then I sat......and stared......and moved the little container around for all them to sparkle and I sat and sat and STARED at my new......SWAROVSKI (for 30+ minutes). So, while I may be tired and may be weary, I'd do it all again for another bag of my favorite.....SWAROVSKI! Love their AWESOME crystal, too? Show them some love on their facebook page! And NO I was not paid for this opinion, given any crystal or offered any (although I'd never turn it down ;) ) by Swarovski or any of their affiliates/subsidiaries.